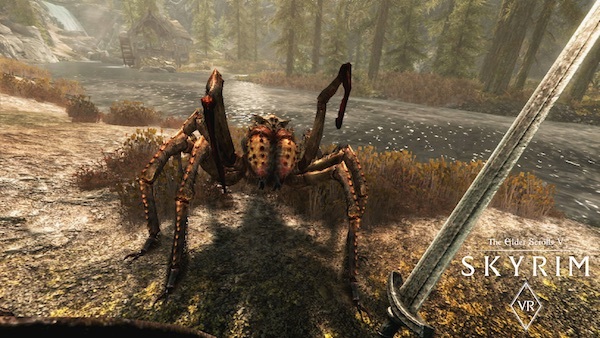 There’s nothing quite like taking a risk and Bethesda have done that with Fallout 76, you could argue that its a natural evolution along the path of Elder Scrolls online, but disgruntled fans appear to disagree. 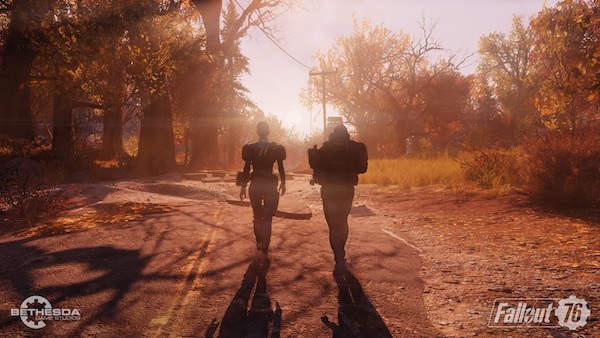 For a game that has made “Country Roads” a re-popular tune, on social media at least and given fans the opportunity they have craved to live in a Fallout world with other people; it was ambitious and has delivered on promises for the most part, but it seems to be the little things that have people most hung up. For my part, I quite enjoy it, but I tend to make my own way in Bethesda games. Poking around nooks and crannies, filling my pockets with everything I can carry and generally ignoring quests until I stumble upon them, which kind of leaves me in a quandary – am I really the target audience? 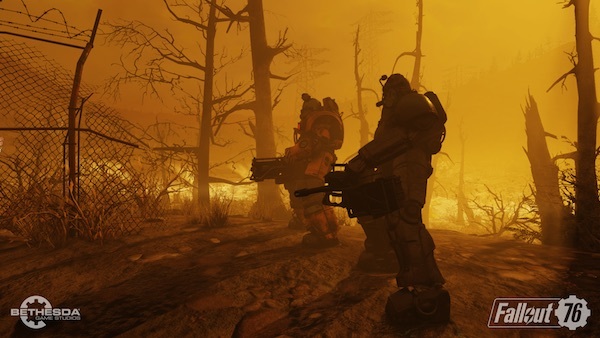 Fallout games have been big, physically, like really really big. 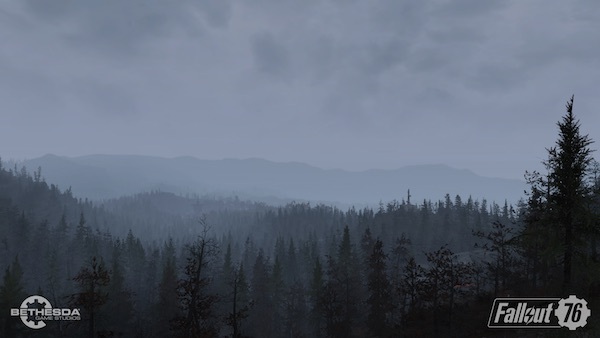 They are traditionally maps you can get lost in that are generally peppered with Easter Eggs and locations built with plenty of tender loving care, #76 is no exception the West Virginia setting is huge and as a virtual tourist its not a place I wish to rush through. Part of the joy in games like this is the exploration and organic wandering. Finding your way through the destroyed world is actually satisfying, picking through rubble and filling your pockets with loot along with some useful NPC interaction, on the whole #76 does still give you that, even though the world feels more empty and random encounters are generally fraught with limited danger. As expected quests and stories mostly unfold through messages on terminals or the occasional document you manage to pick up, this often leads from one pice of information to another and if you wander into the right location first you may just have the combination to a high level safe halfway across the map. 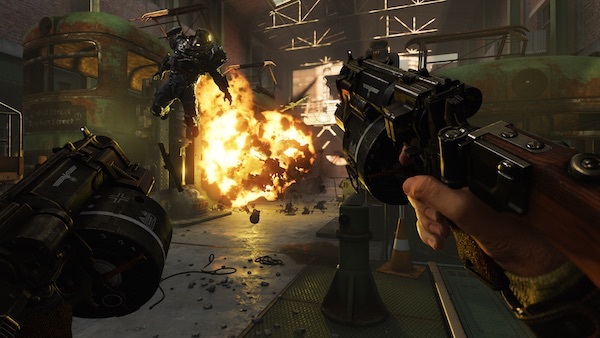 There have been plenty of complaints about the engine the game is running on, but regardless of its age it handles the job, yes there are glitches and it will stutter, but nobody is perfect. While these complaints are obviously founded and even worth noting that since the latest patch, my experience has stepped away from being silky smooth. What has to be said and has not been said often enough is that there are times when the landscape is stunning, I have often stopped my journey just to stand and stare at a blinding sunrise creeping over the horizon. Up close there are textures that fail, but when you take it in the harsh landscape coupled with the forests of West Virginia make an artistic marriage. It might not be ‘that cowboy game’, but its certainly in the same ballpark. 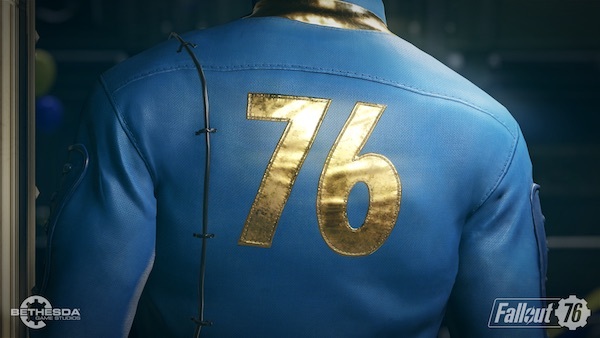 Making the most of #76 will come down to how you want to play it, having your save dropped into an available server and attached to whoever is currently wandering around may be daunting for some. Fret not, it takes effort to get in the same vicinity and to enjoy the Fallout experience on your own is quite easy to do. That said, it can be reassuring when fighting through a building to hear shots fired, assuming that there is a like minded person nearby that may be willing to trade and go on their way. I do enjoy a good online experience, but have found over the years that communication with randoms tends to be a disappointment, so seeing groups of friends team up and achieve higher level missions together is good to see, safe in my knowledge that I will be the bumbling introvert that may tag along without much to say. 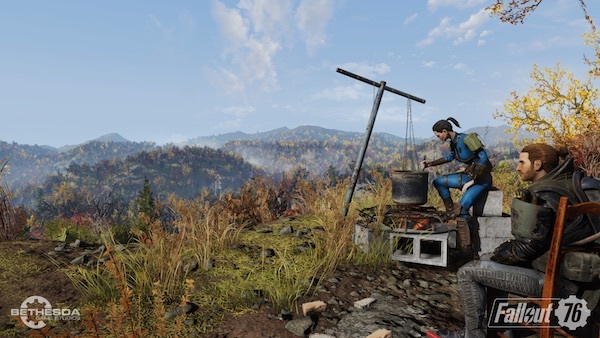 There are things that #76 does differently, some purely for the benefit of being online and in a persistent multiplayer game, here are a few of them. V.A.T.S. Targeting on the PIPBoy, there were complaints that it was different and you couldn’t stop time to target specific areas of the enemies. Instead, hitting the V.A.T.S. button gives you a visual display of hit percentage and lets you shoot at that. Fine by me, I mean – its an online game, how would that work with twenty other players all experiencing their own V.A.T.S. moments and freezing time whenever they felt like it? Yes, its different, but it does the job. The C.A.M.P. this is something that I cannot settle on, the idea that you have a moveable base that will allow you to rebuild anything that you built from resources previously and it only costs a few Caps to drop it into position. Well, I see why its there, but to be honest I’ve never got into the building aspect of Fallout 4 and can’t see myself doing it here beyond the four machine gun turrets, sleeping bag and workbench that I have now. Some people build amazing bases, the controls don’t feel slick enough and with such a world to explore I’d rather be on the move instead of worrying what kind of vinyl to lay in the spare bedroom. Combat and Weapons. There’s a whole melting pot in there, but at lower levels you feel a touch overpowered, while this may be a strategy to welcome new players it doesn’t do anything to build up the ‘Risk vs Reward’ level of satisfaction, besides which the better weapons are locked by your level so there had better be some badass beasties around then to use them on. Weapons are crafted from the bit and pieces you pick up around the world, pocket filling detritus needs to be scrapped at a workstation and will in turn generate components for building or upgrading stuff. Levelling up and character building. 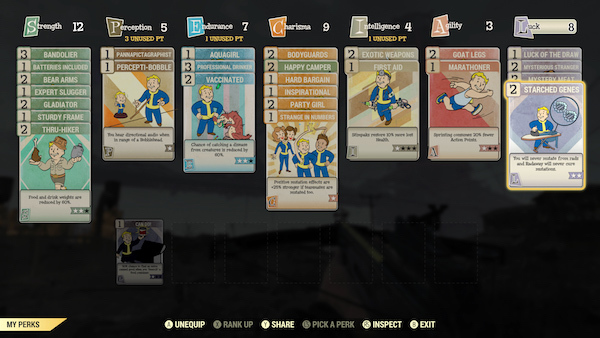 This has been handled really nicely, utilising a card based system not unlike opening gift packs in other games, you then get to stack the cards in your S.P.E.C.I.A.L. character traits, some add buffs and some add specific skills. Its a great visual way to get away from adding numbers to a character stats screen. Experience equals more levels and more levels equals better gear, the circle of RPG life continues. 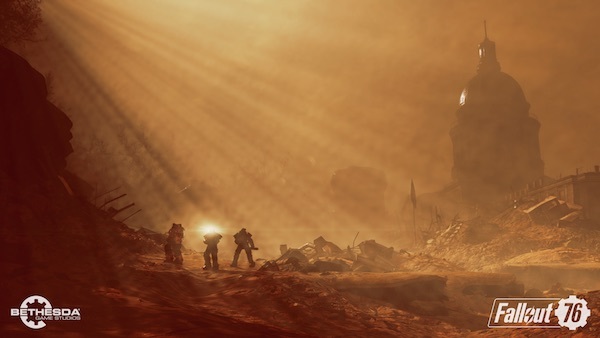 The story; the setting puts you in a new timeline for Fallout games of recent years a prequel of sorts. Emerging from Vault#76 into post nuclear America with the aim of rebuilding and surviving, obviously we know how that turns out, so there is an element of naivety at play if the world was expecting something else. This also brings in to question the narrative or quest structure, but once again I have to point out, there is too much hand holding in games these days. 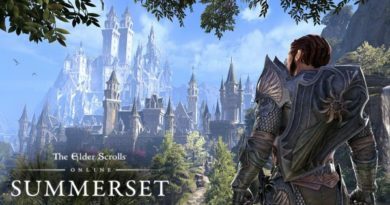 Here’s the news, to really experience a game like this, just wander and explore, enjoy the mini-encounters, the secrets you discover and the sunlight streaming through Autumnal leaves. Where am I going with this? 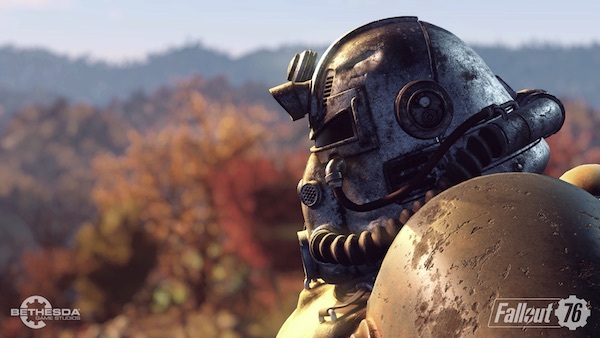 I don’t really know, basically Fallout 76 does what it says on the tin, its an online multiplayer Fallout game where you can choose to venture on your own or set up with a group. I might never see the end game, I may never complete another quest, I will however spend my days opening every box and stealing every piece of loot as a good kleptomaniac should, but above all I will carry on playing my own way and enjoying the world they have given to me, wondering why people seem to think its cool to say the game is broken. 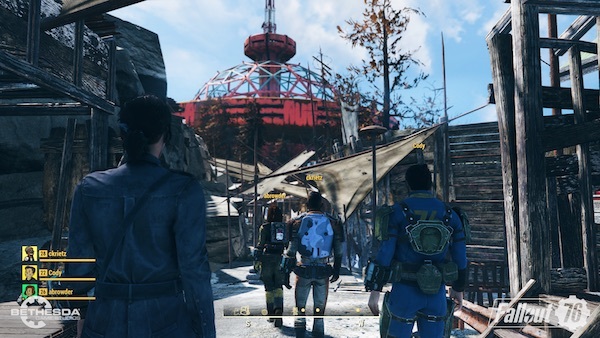 Right now, I’m feeling guilty for not completing Fallout 4, but I don’t want the pressure of being given tasks by NPCs anymore. Right over that hill on the horizon, second star to the right and straight on ’til morning.